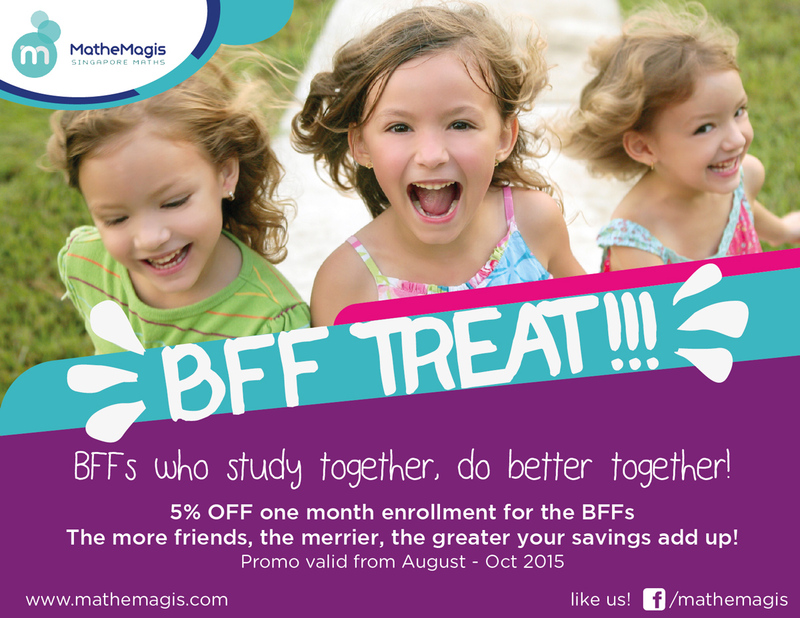 Friends who study together, do better in Singapore Math together! Round up your circle of friends! Mathemagis students and their BFFs get a 5% discount on one month enrollment. Refer your friends to get more discounts. 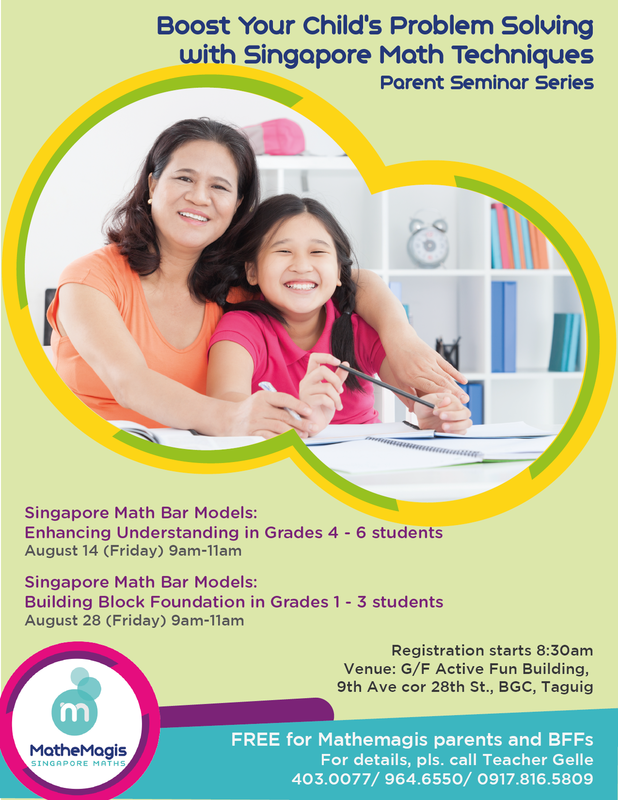 Learn the best strategies to teach bar-models to your kids across grade levels with Mathemagis’ Parent seminar series. Parents of students from grades 4 to 6 will learn bar-modeling strategies applied to word problems as an alternative to algebra. Parents will learn the basics of bar-models as applied to various topics across grades 1 to 3. Workshops to be held at Mathemagis Active Fun Center, BGC, Taguig City. 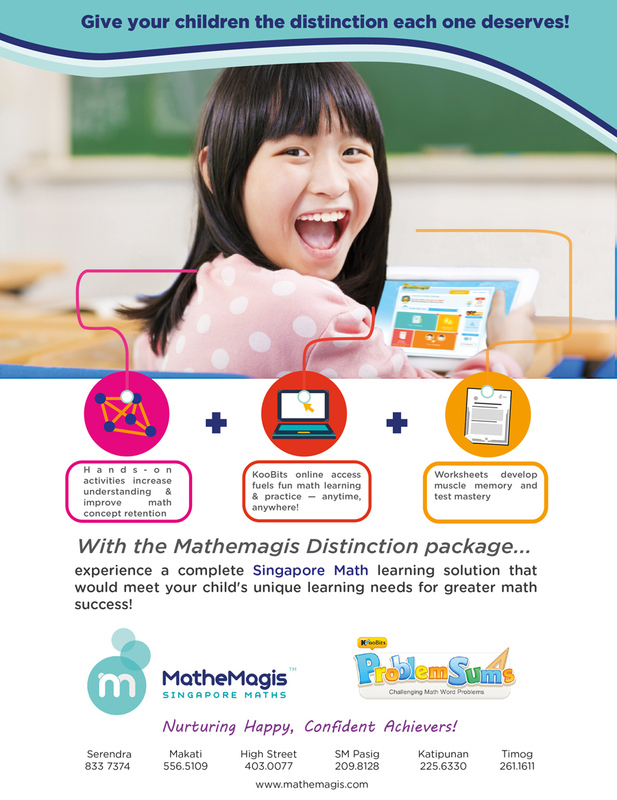 Mathemagis Parents and a guest can attend for free. 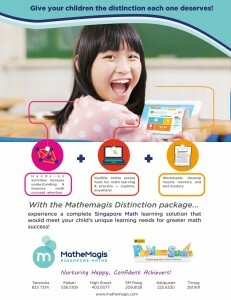 P1,000 registration fee for non-Mathemagis parents.